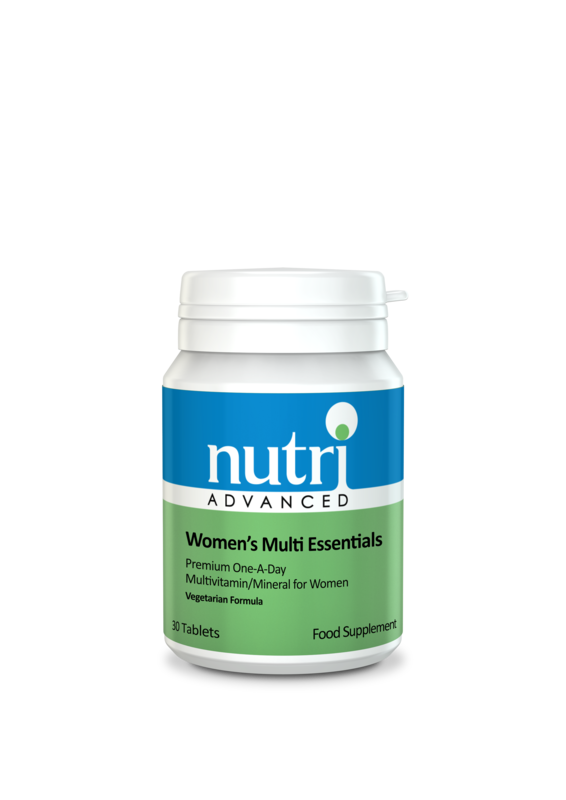 Nutri Women's Multi Essentials health supplement - with targeted plant-based phytochemicals for female health. It provides extra iodine and selenium for thyroid and Antioxidants support and boron for bone health. In addition it provides broccoli, diindolylmethane (DIM) and pomegranate extract for hormone balance, Antioxidants support and skin health. phytochemicals for female health. It provides extra iodine and selenium for thyroid and antioxidant support and boron for bone health. In addition it provides broccoli, diindolylmethane (DIM) and pomegranate extract for hormone balance, antioxidant support and skin health. Easy to swallow pink tablet, coloured naturally with beetroot.